The National Water and Sewerage Corporation (NWSC) has launched a campaign to plant one million trees across the country. Addressing journalists at the new NWSC Head office in Nakasero on Wednesday, the Managing Director of NWSC, Eng Dr Silver Mugisha, said the campaign, which will be done in partnership with the National Forestry Authority (NFA), aims at protecting the environment. “In recent months, NWSC has experienced extreme weather conditions in Gulu, Masaka, Mbale, Arua, Mityana, Bushenyi, Mbarara among many other areas. The water sources dried up and in some areas the water treatment plants flooded,” Dr Mugisha said. “These are some of effects of climate change. Water is no longer an infinite resource; we shall face a lot of hardships in the near future if we don’t take of the environment,” he added. He said under the arrangement, NWSC will plant live fences around all its offices countrywide, plant trees with different communities in catchment areas. 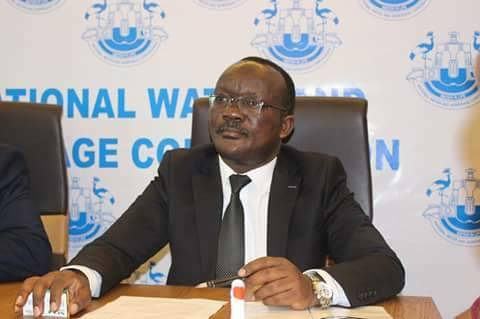 NFA acting Executive Director Paul Musamali commended NWSC for the initiative and pledged the authority’s support and technical assistance towards the campaign. The above project will be implemented through the Young Water Professionals, a group of youth below the age of 35 years in the water and sanitation sector, the School Water and Sanitation clubs and the local leadership in the various areas. A total of 172,192 trees have been planted since the launch of the campaign in November 2017. The corporation is on target to achieve the campaign targets. 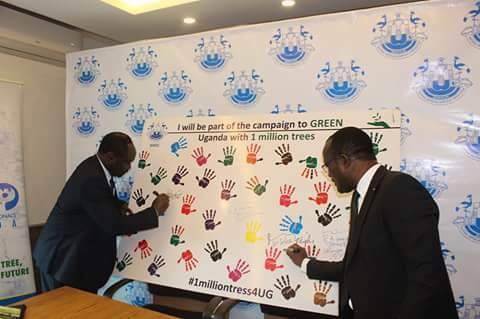 According to Dr Mugisha, NWSC is piloting technology to produce briquettes from treated sludge, which he says will provide alternative fuel and reduce over reliance on firewood for cooking.